The most influential and prolific illustrator of the 20th century, Norman Rockwell (1894-1978) produced art for more than 150 companies throughout his lifetime, including magazine covers for The Saturday Evening Post and annual calendars for the Boy Scouts of America. However, among his most enduring images are his Christmas paintings for Hallmark Cards. Reproduced often and in many contexts, they helped define the spirit and traditions of the holiday season for many Americans. The heartwarming and humorous images have also come to exemplify Rockwell’s unique brand of pictorial storytelling. Included in the exhibit are small thumbnail sketches and photographic studies that document Rockwell’s intensive creative process. Also on view are Rockwell’s iconic painting The Kansas City Spirit and his rarely exhibited portrait of Grandma Moses, another artist whom J.C. Hall enlisted for Christmas cards. 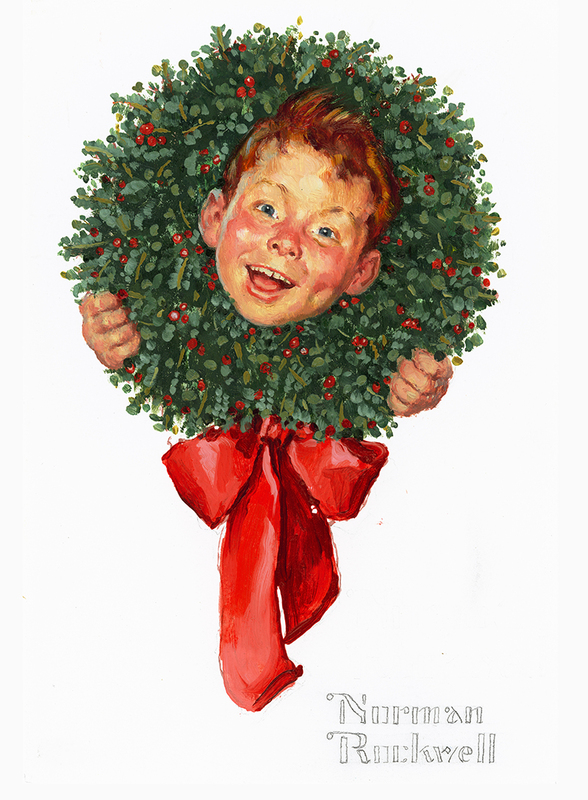 Together with his Christmas paintings, they reveal the remarkable relationship between Rockwell and Hallmark Cards, a story further elaborated by vintage Hallmark products, archival photographs, and original correspondence between Norman Rockwell and J.C. Hall.